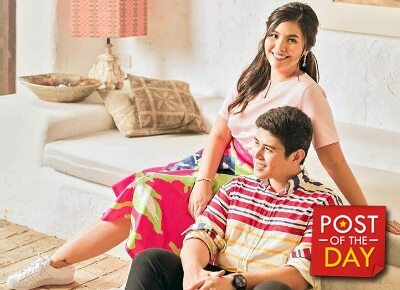 Paulina Sotto, daughter of veteran comedian and TV host Vic Sotto with Angela Luz got engaged to her boyfriend Jed Llanes last February. As they are nearing their wedding day, the couple had their prenup photo shoot at the Pinto Art Gallery in Antipolo. Nice Print Photography shared their photos on Instagram. Beautiful Paulina Sotto soon to be Mrs Llanes ?????? Simply beautiful ?? Jed Llanes & Paulina Sotto ?? Jed Llanes & Paulina Sotto ???? Jed Llanes & Paulina Sotto ? ?